Ulusaba, Sir Richard Branson’s Private Safari Game Reserve, is located in the western sector of the Sabi Sand Reserve, near Kruger National Park in the Mpumalanga province of South Africa. With 21 stunning bedrooms, Ulusaba is known for the quality of its safari experience, with some of the most experienced Rangers and Trackers in the country. On the summit of a koppie set against the backdrop of the Drakensberg Mountain range far in the distance. Rock Lodge includes the exclusive two bedroom Cliff Lodge and can accommodate a total of 20-25 guests in its 10 rooms and suites. Built along the banks of the dry Mabrak riverbed. Guests will love the sense of adventure as they cross the rope swing bridges between exquisite tree house rooms, created and inspired by local and natural materials, with elephants, bushbucks, lions and other local wildlife passing by. Safari Lodge can accommodate 22 guests in its 11 rooms. Game Drives: Twice daily game drives leave from Ulusaba, refreshments included on the tour. Discover the Big Five and many other plant and animal species. Game Walks: Go on a guided game walk to get an up close view of the flora and fauna that call South Africa home. Experienced and trained rangers will guide you on this tour. Wellness: Work out at one of the gyms or take a dip in one of the pools. Treat yourself to one of the many spa treatments for a day of rest and relaxation at the Aroma Boma Spas. Tennis: Hit a few rallies and work on your backhand on one of the two floodlit-tennis courts. Star-Gaze: Watch the day transform to night as you star-gaze at the Bush observatory. Helicopter Ride: Fly above the Sabi Sands Reserve on a helicopter tour. 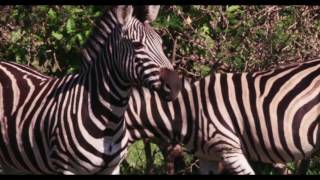 See the safari ground from a different perspective during this breathtaking experience.